I've just tried both -39 and -40 in xenial-proposed, and both fail to boot on my laptop (dropping to busybox - see the attached screenshot). This is a regression over -38, which works fine. I'd like to perform a kernel bisect to figure out which commit caused this regression. We need to identify the earliest kernel that did not exhibit the bug and the first kernel that did exhibit the bug. Can you test the following upstream kernels and post back? And the kernel from http://kernel.ubuntu.com/~jsalisbury/lp1626894/30d6592-reverted/ also works. Can you test this kernel and see if it resolves this bug? You will need to install both the linux-image and linux-image-extra .deb packages. 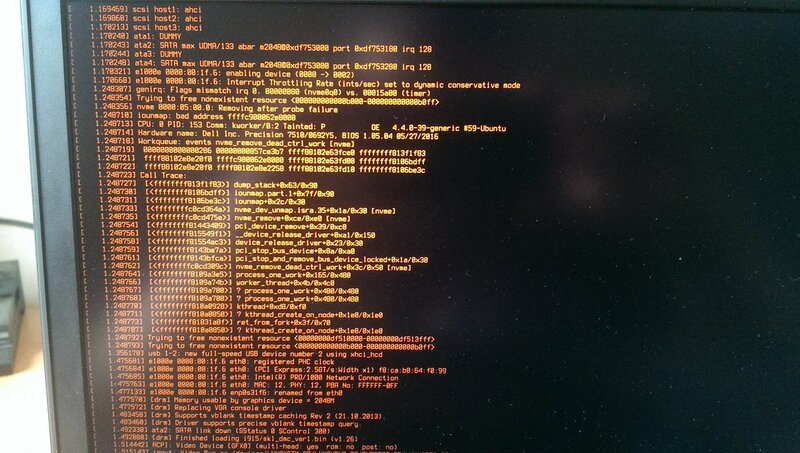 That test kernel works fine too.